5 YRS Astouch Technology (Shenzhen) Co., Ltd. Within the warranty period, we will offer free repair or replacement service. One is to install the scanner on the port between the keyboard and the mainframe. The other is to install the scanner on the external keyboard wedge of the programmable keyboard. 2 YRS Shenzhen Seelinkin Intelligent Technology Co., Ltd.
9 YRS Shenzhen Netoptouch Technology Co., Ltd.
3. If you need, we can order Licensed Windows Operate System for you, but Windows 10 is not available. 8. 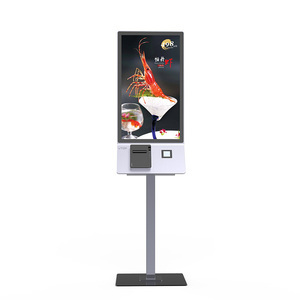 This android payment kiosk is with infrared touch panel, capacitive touch panel for choice. In case of that you need longer warranty period, extra cost for warranty delay is need. 5 YRS Hangzhou Huitong Kiosk Co., Ltd.
etc Speaker Cabinet Cold Rolled Steel cabinet sprayed metallic paint. 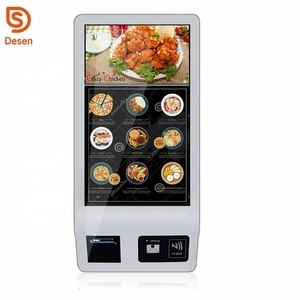 Additional Function depends on your needs ---Metal Keyboard ---Barcode reader ---Coin/Cash acceptor ---Card Reader ---Printer ---Camera ---WIFI ---Bluetooth. During the warranty , we can repair and replace the defective parts for free ;After that , we will repair and charge part cost. 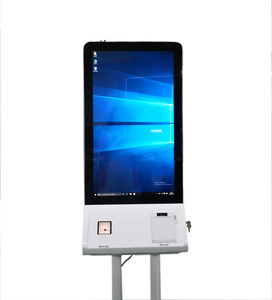 11 YRS Guangzhou LiQi Intelligent Technology Co., Ltd.
4 YRS Shenzhen Zhongkong Computers Co., Ltd.
4 YRS Shenzhen Diversity Kiosk Technology Co., Ltd.
3 YRS Dongguan Intelkiosk Electronic Technology Co., Ltd. 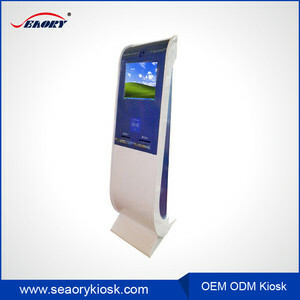 Product introduction We customize high quality kiosk for you as your specific need. 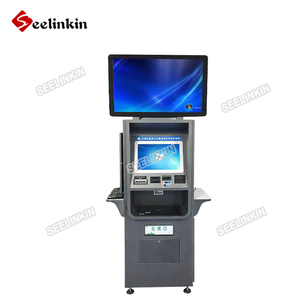 Our company Dongguan Intel Kiosk is specialized in manufacturing professional self-service kiosk , ATM payment kiosk , payment kiosk . Q : How does your factory do regarding quality control 9 A : Quality is priority. 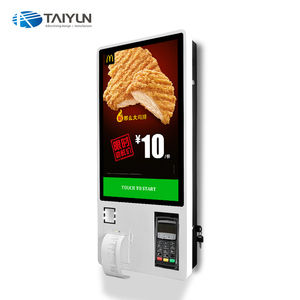 3 YRS Shenzhen Hongjiali Information Technology Co., Ltd.
10 YRS Shenzhen Hongjiali Science & Technology Co., Ltd.
7 YRS Shenzhen Lean Kiosk Systems Co., Ltd.
2 YRS Shenzhen San Altar Tech Co., Ltd.
Alibaba.com offers 81,119 screen payment products. About 8% of these are payment kiosks, 4% are pos systems. A wide variety of screen payment options are available to you, such as 100% cotton, pp, and wood. You can also choose from free samples, paid samples. 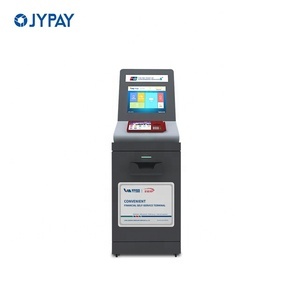 There are 81,119 screen payment suppliers, mainly located in Asia. The top supplying country is China (Mainland), which supply 100% of screen payment respectively. 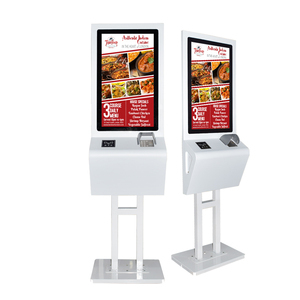 Screen payment products are most popular in North America, Western Europe, and Domestic Market. You can ensure product safety by selecting from certified suppliers, including 13,351 with ISO9001, 9,907 with Other, and 3,226 with ISO14001 certification.